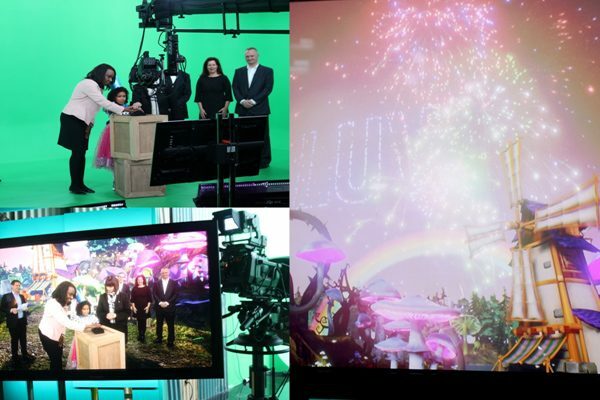 Virtual Universe Laboratory has broken the boundaries of creativity in live television production. Actors now seem as if they are standing inside a computer generated universe. Before LUV was created, TFO was faced with limited space for production sets to be constructed. On average, building a set cost about $150,000. However, LUV replaces the need for physical production sets with virtual universes. These 3-dimensional graphic sets can cost as low as $50. 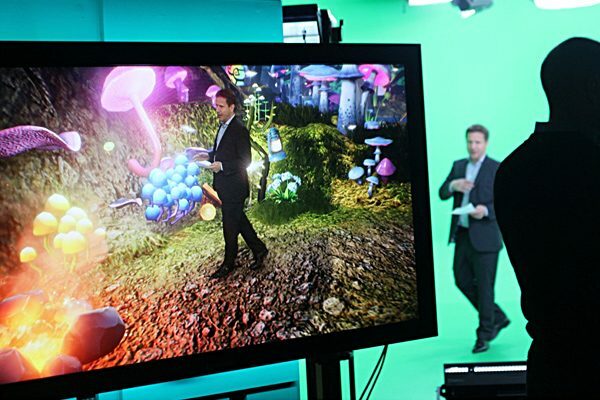 With a virtual set, on-air talent must rehearse before-hand to avoid colliding with objects in the alternate universe. Camera operators can also control a 360-degree view of the universe. The lab was developed through the collaboration of companies around the globe. Companies from the United States, Turkey, Croatia and England contributed to the innovation of Virtual Universe Laboratory. 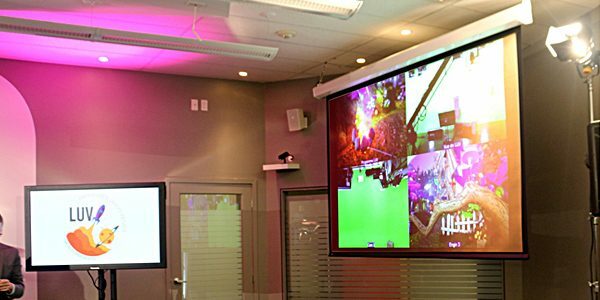 Groupe Média TFO currently uses the lab for its own productions. Currently, the children’s programs of Mini TFO are filmed in the newly developed studio. In the future, this new technology will be offered to external production companies as well. The new generation of innovative and educational productions. Minister Responsible for Francophone Affairs Marie-France Lalonde, Minister of Education of Ontario Mitzie Hunter and Toronto City Councilor Norm Kelly were present at the recent launch of LUV. 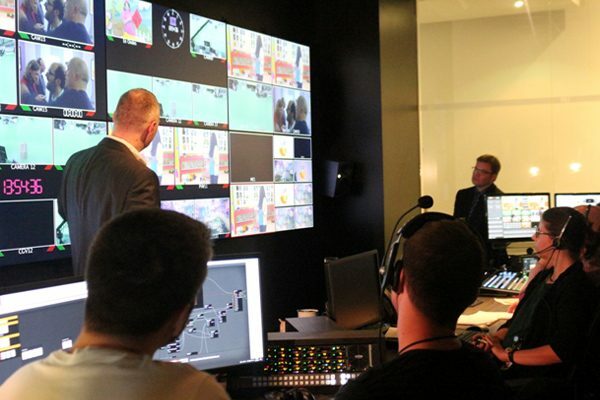 All three congratulated Groupe Média TFO on the unveiling of their brand new technology. To conclude the official launch, virtual fireworks celebrate Groupe Média TFO’s advancement to inspire learners across the country and beyond. 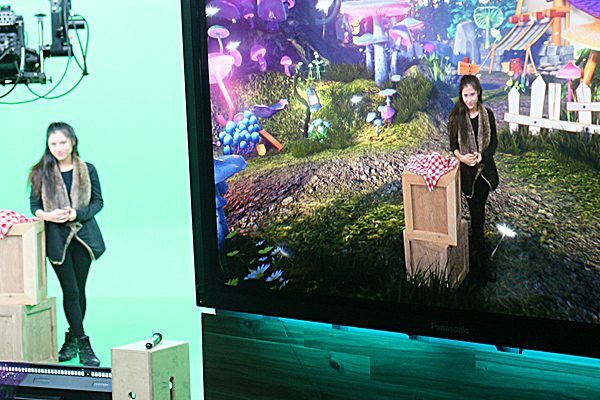 Faze’s Megan Yam is transported into a magical virtual world! To learn more about Groupe Média TFO, visit their official website. That idea of a piece or kit or a new approach to technology really driving storytelling and opening up a new wave of television is really interesting. Home – A VR Spacewalk A collaboration between the BBC and VR agency Rewind, this takes its viewers on a 15-minute spacewalk.